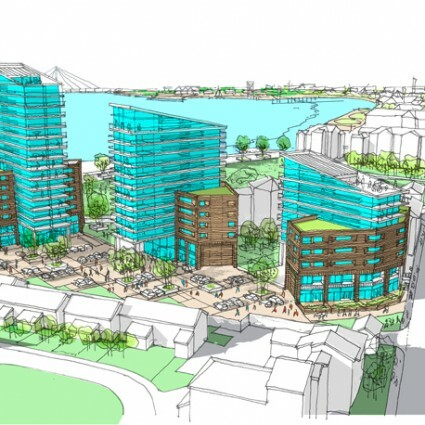 This large scale housing development renews an existing, historic, industrial site and provides 200 new homes for the community with a new public link to the Thames waterside. In an area of mixed architectural styles and piecemeal development, the design responds to both the river and the wider neighbourhood. 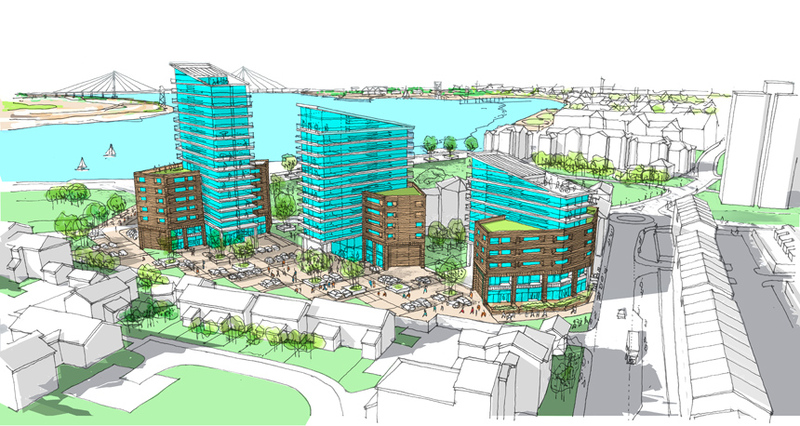 Three new towers step down in height from the river and provide a counterpoint to the adjacent 1970s high rise development, framing views from the town centre, station and surrounding areas and creating a new visual identity. 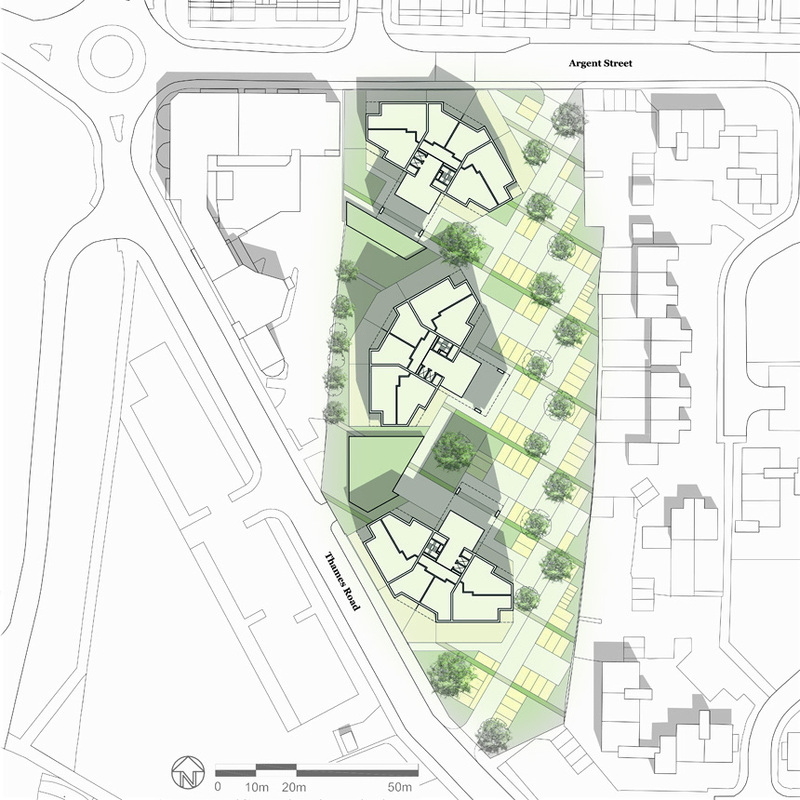 These distinct blocks each have a lower element which defines the public realm and ‘grounds’ the scheme. The landscape design binds it together, defining public and private areas, integrating parking areas with green buffer zones and providing good, shared amenity space. 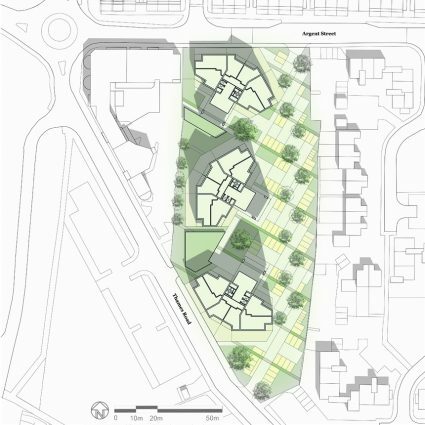 The development is highly sustainable and targeted to meet Code Level 5 through efficient ‘fabric first’ design, renewables, robust ‘long-life’ materials and components and a biologically diverse landscape.